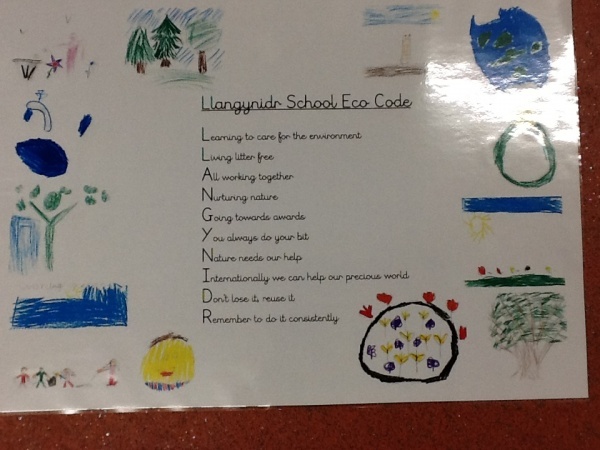 At Llangynidr Primary School we are extremely proud of our eco status, having achieved our first Green Flag. 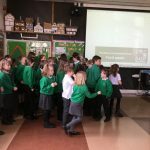 The school must apply every two years to keep its eco status and prove commitment to being Green. This is something embedded in our school life and we are committed to our ethos of reduce, reuse and recycle as well as ensuring school decisions are sympathetic to these values. 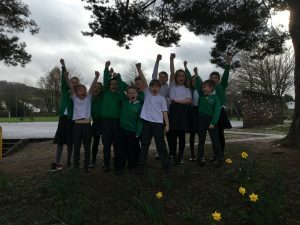 We have a team of eco warriors from each class who are responsible for collecting organic waste for composting and making sure that our eco code is being followed. 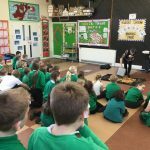 In March 2019 we are developing our pupils into ethical and informed citizens through maths and numeracy. This is a whole-cluster project based on the new curriculum. We are investigating food waste at school and on a global level. weighing our lunchtime food waste. 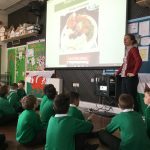 Learning about food waste in Britain and globally. playing a quiz on food waste facts.